Our doors are open 365 days a year. For women living on the streets or in night-to-night shelters, our drop-in Day Center provides a respite from the rigors of the street while also providing essential services. 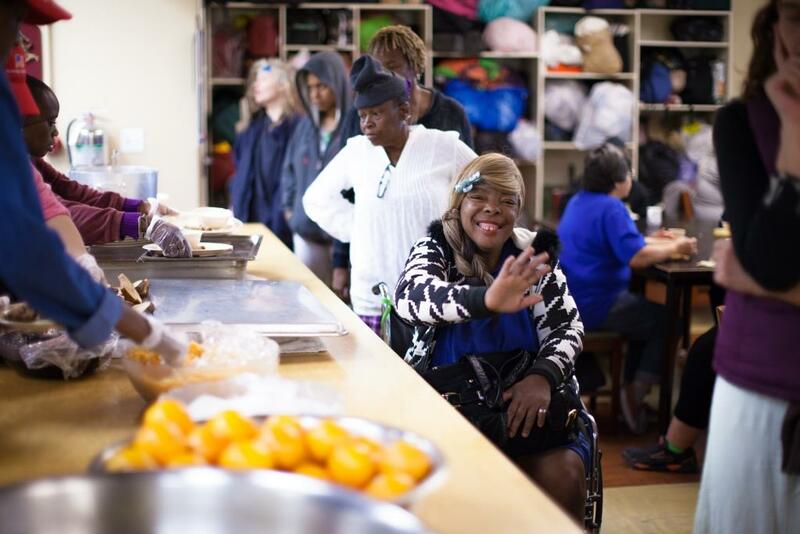 Our Day Center is a safe, warm, and welcoming space for women facing homelessness and extreme poverty. There are no barriers to access services, and all women are treated with respect and dignity. We provide home-cooked meals, clean clothing, showers, referrals to housing and other services, and we nurture a community of caring women who are there to listen, talk, and support each other. We’re open Monday-Friday from 6am-4pm, and Saturday-Sunday from 7am-3pm. Visit us today!